Editor's opinion  Anastasia Sarkisyan Hosting Expert (2 years' experience) Her main responsibility is to write hosting companies overviews, articles and creating content in general. Pleasant website design and a very user-friendly interface. Apart from the Russian website version, they have a Spanish, English and Chinese versions that are under construction. Shared hosting packages are rather cheap: from $2.50/mo to $13.50/mo. The main feature of these packages is that only disk space is limited. What’s more, the disk quota varies from 5Gb to 100 Gb, so it’s quite easy to find a suitable package. Moreover, Shared servers are very secure. Another distinctive peculiarity of this hosting provider is that they allow adult content on their Shared servers. So far, the majority of hosting providers restrict this kind of content not only on their shared servers but on VPS and Dedicated ones as well. ProHoster offers a variety of VPS hosting packages. Generally, they are cheaper in comparison to other hosting providers: from $2.60/mo to $58.90/mo. The characteristics are rather good. For example, the most expensive package (at $58.90) includes 4 CPU cores, 32 Gb RAM, 200Gb SSD and 1 IP address. Additionally, all of the packages have unlimited bandwidth. Moreover, the company offers Windows VPS servers. They actually are VPS servers with KVM virtualization, so you can install any OS on them. Dedicated servers are not very expensive, however, the are quite weak. For instance, at least half of the servers are powerful desktop computers rather than servers. Although these servers cost not that much, it would be better if they had a detailed tech specs description. It is possible to choose the servers location: Ukraine, Russia, Netherlands, Estonia, Lithuania, Luxembourg or USA. The company offers a 14-day trial period for all Shared hosting packages. Shared hosting packages have monthly, quarterly, semi-annual, annual and biennial cycles. VPS and Bulletproof Dedicated servers as well as Dedicated servers located in Ukraine, Estonia, Luxembourg, Netherlands and USA have monthly, quarterly, semi-annual and annual billing cycles. Dedicated servers located in Russia and Lithuania can be purchased only for one month. ISPmanager is included to each Shared hosting package. Vesta or ISPmanager can be installed on VPS servers for free. As for Dedicated servers, it’s possible to use ISPmanager on them at no additional cost. Shared hosting packages have limited disk space, however, all other features such as number of domains, email accounts and FTP-users are unlimited. Server resources are restricted. For example, RAM volume limit varies from 460 Mb to 2Gb depending on the package. You can find this information in the detailed description of the the plans. VPS and Dedicated servers have their usual disk space, number of CPU cores and RAM limits. Also, the company provides 100Mbps port with unlimited bandwidth for these plans. For Shared hosting packages the company provides anti-DDoS protection, application firewall, anti-spam tool (SpamAssassin) and a few antiviruses: ClamAV, Virusdie and Madlet. As for VPS and Dedicated servers, server security is under your own responsibility. The company only offers paid anti-DDoS protection that is quite expensive (starting from $75/mo). Shared hosting servers run on CloudLinux. Debian, CentOS and Ubuntu can be installed on Linux VPS; Windows Server 2008/2012, Debian, CentOS, Ubuntu, FreeBSD - on Windows VPS. As for Dedicated server, it’s possible to install Debian, CentOS, Ubuntu, FreeBSD, Windows Server 2008/2012/2016 or any other OS, if you have the image of it. ProHoster provides ticket, chat and email support. They work every day from 9am till 7pm Ukrainian time. The representatives are quick and helpful but not proactive. Also, it is possible to purchase additional technical support for VPS and Dedicated servers at $10/hr. The representatives are able to help with all kinds of queries regarding server management and maintenance. The knowledge base is not big, covers only basic topics. Test period for hosting (14 days) + Web-site translation + Website builder + Free 3rd-level Domain + SSL certificates. What is written about in reviews of Prohoster.info most often? I recently started working with them. Price and quality are great. Everything works well. I lease the server MYBS01, because this is the best choice available right now. I was looking for a reliable company for a long time, I took the server for testing from them. Now a regular customer. Affordable price, stable work! I recommend they are the best! I was searching for a web hosting company that offers an excellent service, and I found Prohoster.info. As for me this is the best choice. The prices for plans are very affordable. Support very fast and helpful. Everything made with good quality and stability. Highly recommended. Quite by chance on the Internet found this site. I decided to try it in my work and did not regret it. Quality of service is good. In case of any problems, the support service answers immediately. They work on conscience. The prices are good. I will recommend to friends. Flexible hosting site. Customer support really helps, as I prefer to have personal treatment always checking CS. Prices for such service is low for my opinion. I used 5 different hostings and for now it is my favorite one. I hope they will keep that level. very convenient service. thanks to the developers. good and flexible prices. stable work and speed. a friend advised this site and I regretted it. the guys work on conscience. Thanks. 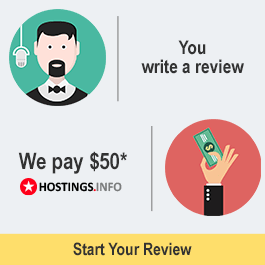 This is the best web hosting company! Excellent service and quality of service at affordable prices. The guys work fine, the support team responds quickly and answers questions. All work quickly without brakes. Thank you for the quality. An excellent choice of tariff plans. I chose the VPS-8-2-SSD - it most closely meets my requirements and is not expensive. An excellent hosting site. I recommend ordering services here! In my opinion the best company sites. A lot of tariffs and at the same time a lot of advantages from each plus are bonuses. I love it, I love it! It gives you not only profit, but also certain guarantees! I've been using hosting for many years. Quality and price is quite satisfactory. The speed is super. The interface of the user panel is made very conveniently. Tech support is always online, solves all problems without dragging out, you can safely say this is hosting number 1. Reliable, I advise! Pretty good hosting, which I 've already been using for about six months. The site works great and loads quickly, and the price is quite acceptable. Once I applied to technical support, my question was solved quite quickly. I liked this hosting. It has a fairly clear and user-friendly interface, fast speed, stable connection without interference. Compared to other sites, the price is not so high. I advise you to try. This is the best hosting I have ever tried. Simple and intuitive interface. Good connection and high speed for a reasonable price. I am very pleased with my choice. Thanks to the developers for good hosting. Excellent service, the best hosting provider. Good price and high-quality hosting services. The service itself is available even for an inexperienced user. I recommend trying and using. I've been working with this hosting company for two months already. I'm pleased with the service: tech support is always ready to help. The speed is rather high, and the price is, on the contrary, rather low. Hope to continue our partnership. Really liked this hosting provider! Low prices and fast techical supprot! The best company what I've ever tried! Recomended for all! My some freinds use this project too! Thanks and good luck! Excellent server and network power and bandwidth is impressive. Low prices - lower than competitors. Tech support at height, the guys know their stuff. There were no cons, I have been renting a server for a year now. I'm quite happy with the server, thank you very much. I have been using prohoster.info since 2015 and must say that it provides really high service in comparison with other hosting providers. By the way, technical support works perfectly, always ready to help fast when I have problems. And the prices are really pleasant. I highly recommend this hosting. http://activationcrack.com/The server is pretty stable, the site loads fine, does not fall. At prices everything suits me, the quality of support also pleases. In general, I use it, and so far I see no reason to switch to competitors. I was looking for a reliable company for a long time, I took the server for testing from them. Now I'm the regular customer. Affordable price, stable work! I recommend they are the best !!! This is a reliable and powerful hosting company. I’ve been with this hosting for a year. Fast and patient technical support. The best you can find for the acceptable price. I recommend. Professional team which provides high service in choosing hosting plan with regard to your budget and web-page requirements. Rates are competitive, support is polite and fast to respond. 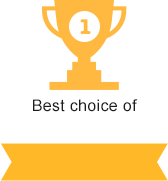 I would recommend to choose this company. Great hosting. I work with them for the second year. I want to highlight the technical support. The guys are responsive and always ready to help. Prices are affordable and user-friendly interface. I was just lucky that at one time I chose ProHoster. Never regretted it. I have been using the VPS server for a long time, the price is quite very good, and on any OS with a free panel and unlimited traffic, try to find better, technical support works quickly. This hosting was pleasant! From the first day of work with ProHoster understood that made a right choice. Competence of technical support at the high level. Are always sympathetic and ready to help. So I recommend to all. Ratio top-level price/quality!!! Excellent hosting, the price was pleasantly surprised, it works quickly and I think this is the main thing, I like the ease of working with it, I like the ease of application deployment, the websites just fly and tech support always helps to solve problems.